Taking oral vitamin D supplements in addition to standard asthma medication could have the risk of asthma attacks requiring hospital attendance, according to research led by Queen Mary University of London (QMUL). 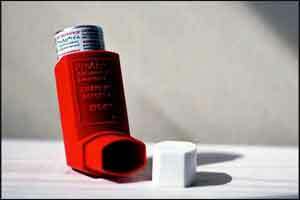 Asthma affects more than 300 million people worldwide and is estimated to cause almost 400,000 deaths annually. Asthma deaths arise primarily during episodes of acute worsening of symptoms, known as attacks or ‘exacerbations’, which are commonly triggered by viral upper respiratory infections. a 30 percent reduction in the rate of asthma attacks requiring treatment with steroid tablets or injections – from 0.43 events per person per year to 0.30.
a 50 percent reduction in the risk of experiencing at least one asthma attack requiring Accident and Emergency Department attendance and/or hospitalisation – from 6 percent of people experiencing such an event to 3 percent. The team’s use of individual participant data also allowed them to query the extent to which different groups respond to vitamin D supplementation, in more detail than previous studies. In particular, vitamin D supplementation was found to have a strong and statistically-significant protective effect in participants who had low vitamin D levels to start with. These participants saw a 55 percent reduction in the rate of asthma exacerbations requiring treatment with steroid tablets or injections – from 0.42 events per person per year to 0.19.